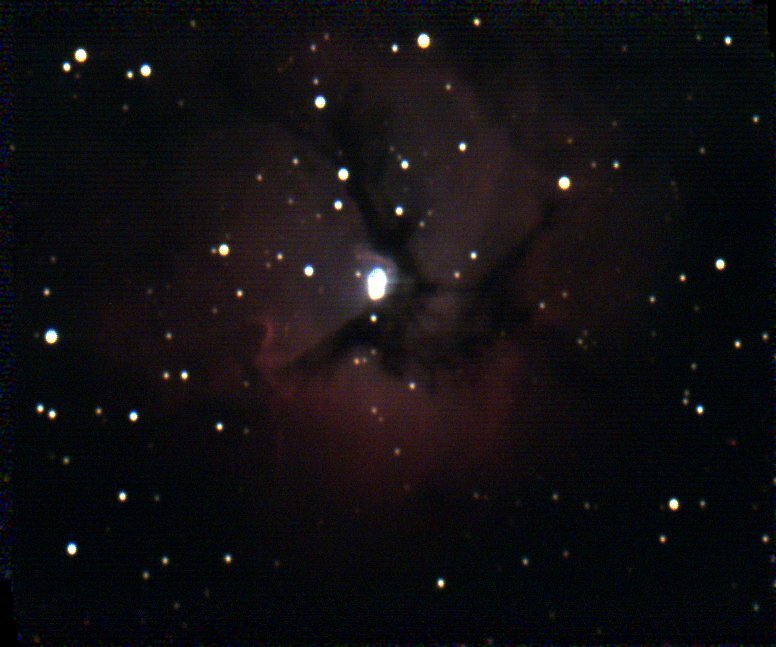 We finally used the new camera to get a reasonably deep exposure of the Trifid nebula, which presents a beautiful combination of emission, reflection, and dark nebulae. 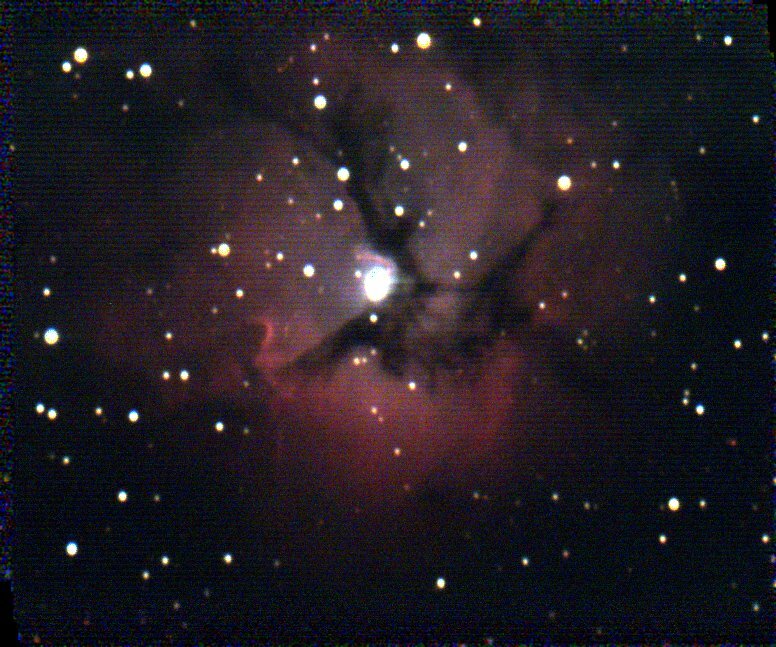 This could use a lot more exposure, but the colors are already very nice. 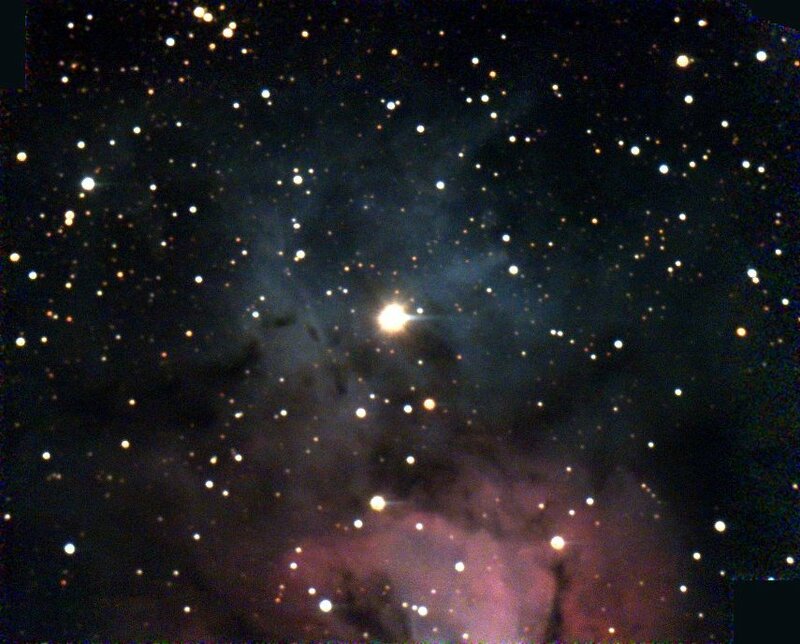 The focus might be a little off, or maybe it was too low in the sky. 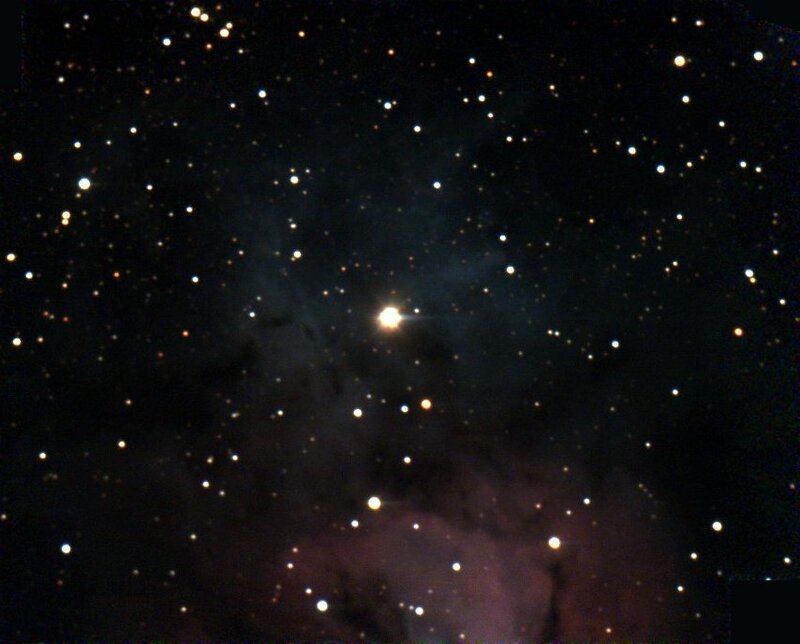 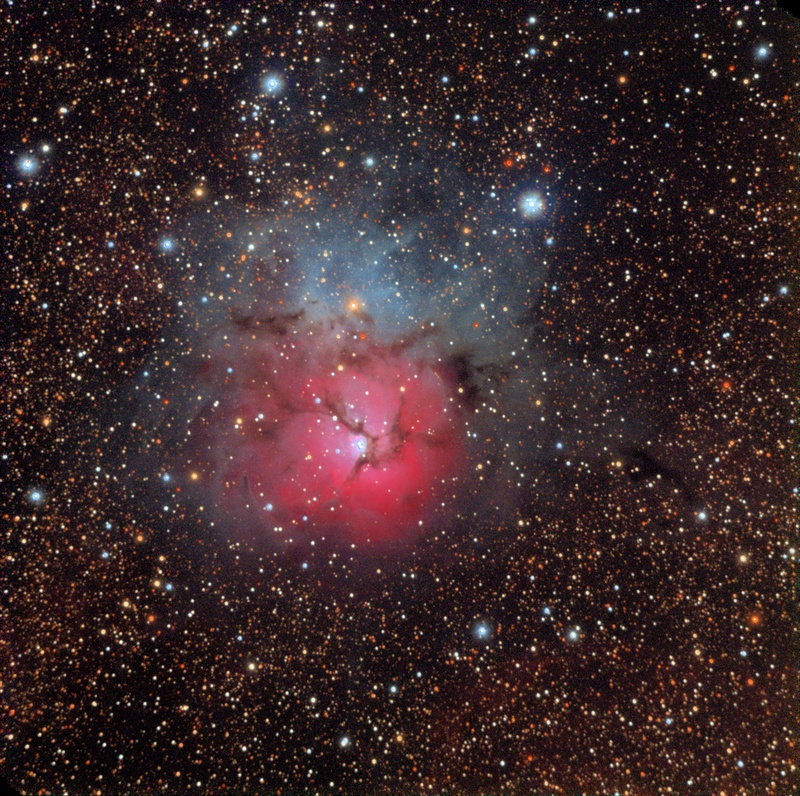 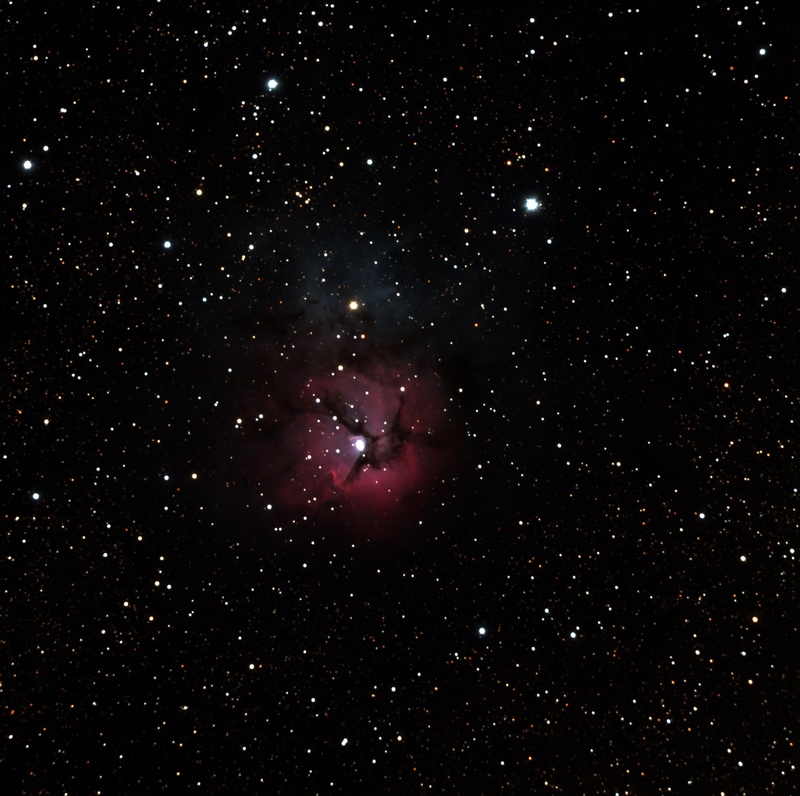 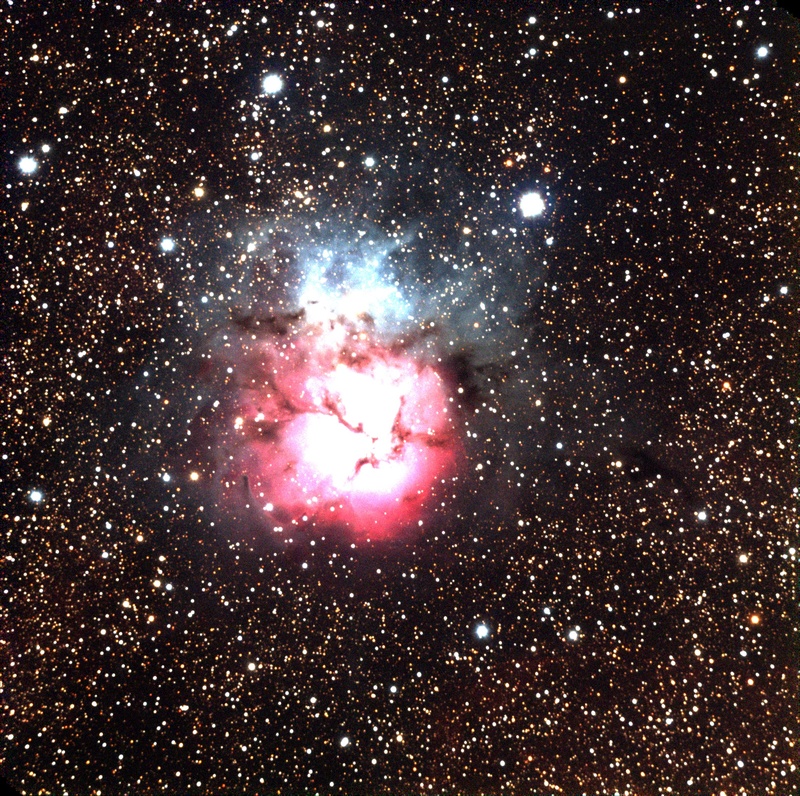 This is again the Trifid nebula, but now centered on the reflective portion. 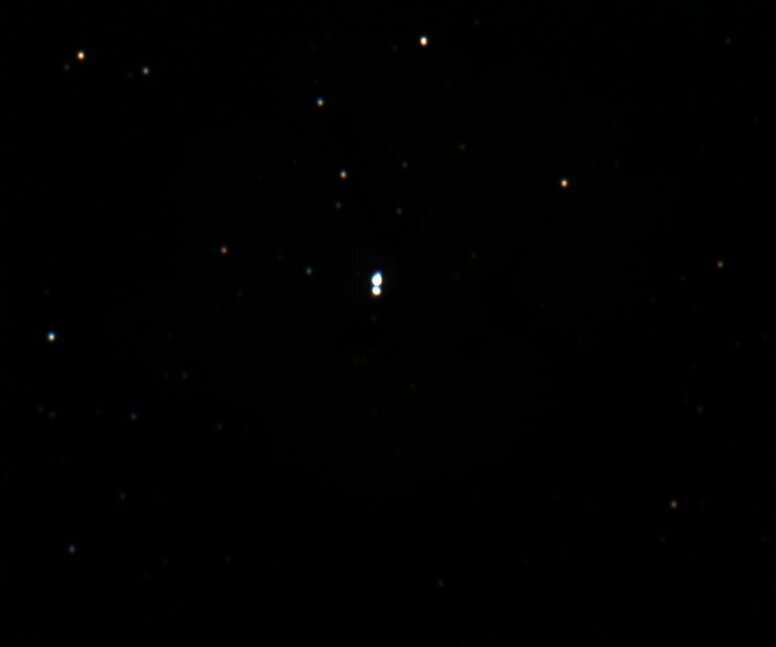 The emissive portion can be seen at the bottom, and partly overlaps with the image from last year.